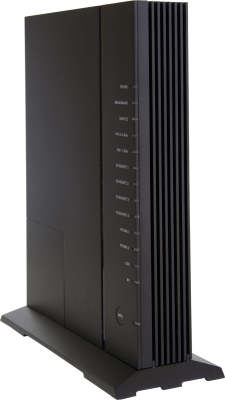 LHTC Broadband Internet speeds are faster than ever with neXtreme – Gigabit Internet! It’s so fast that the whole family can surf, share, game & stream at epic speeds. And with SpeedSync, you can upload as fast as you download! * neXus Gigabit service and SpeedSync is not available in all areas. LHTC Broadband offers speeds up to 1 Gbps on our fast, reliable 100% Fiber Optic network. All of our Fiber Internet services include SpeedSync which includes the same download and upload speeds. * SpeedSync is not available in all areas. Connect all of your devices with ease using our Wi-Fi service. Don't just go extreme,Go neXtreme! Take your Internet experience to the next level with neXtreme Gigabit service. Perfect for the Internet heavy users who have multiple devices, stream movies, game, video chat, and have the need for speed! * neXus Gigabit service is not available in all areas. * Fiber services are not available in all areas. Please contact your local business office to discuss services available. Add Wi-Fi for $6.95/mo. Connect all of your devices in your home to your neXus Internet connection! It’s simple and easy to use and can be added to any level of service. Call Today! * neXus Wi-Fi service is not available in all areas. LHTC Broadband offers a program to help our low-income residential customers keep their communication service. This Federal program is called Lifeline 135 Service. If you are a low income residential customer you may qualify. Lifeline 135 gives a monthly credit off your service. Customers have a choice on where to apply this credit. The credit may be applied to Voice Only Service or Internet Service, which may be part of a bundle. Discount is valid with only one provider. You can apply for Lifeline 135 by calling your local LHTC Business Office.